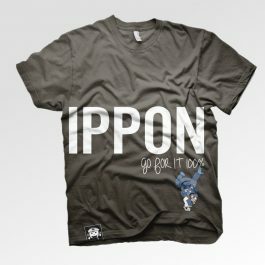 Here is a simple Ne-waza Turn Over. 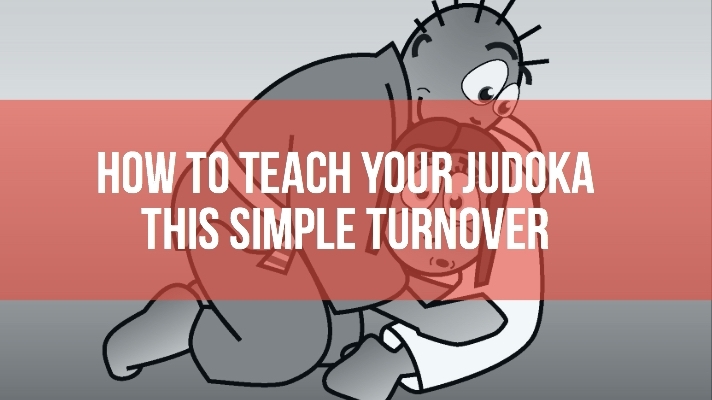 Teach your judoka how to turn their partner from all fours to finish in osae-komi. 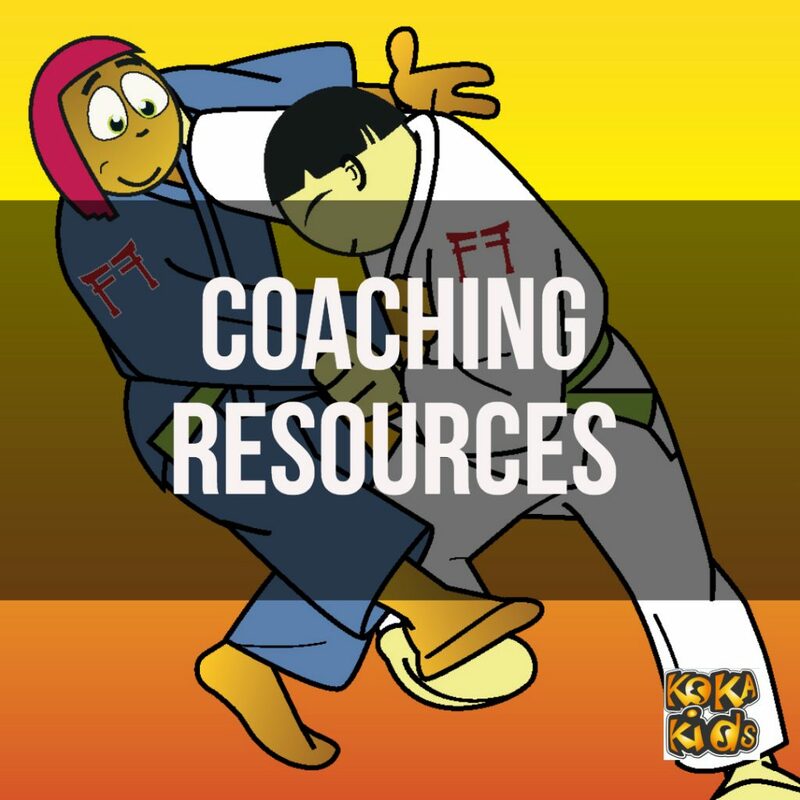 At the end of this post there is a free Key-Stage Teaching Card to download and give to your judoka to help them study this technique. 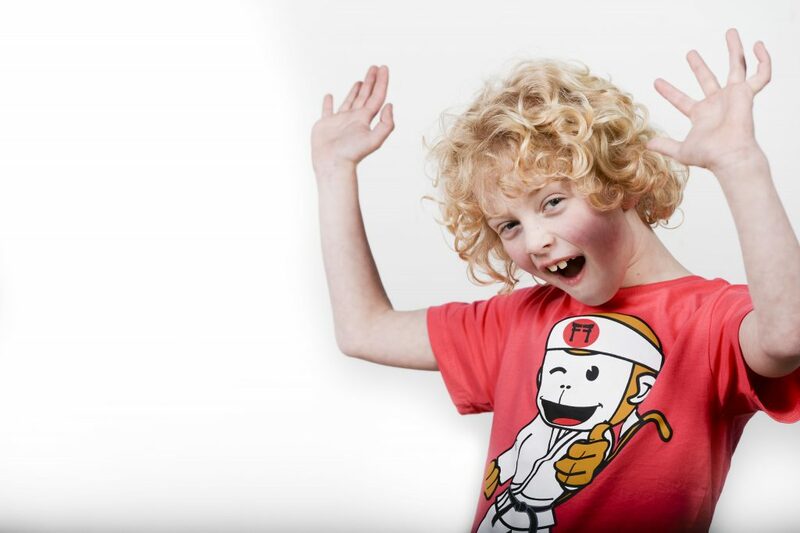 Teach Ten Ne-waza Turn Overs! Looking to teach more than one turnover? 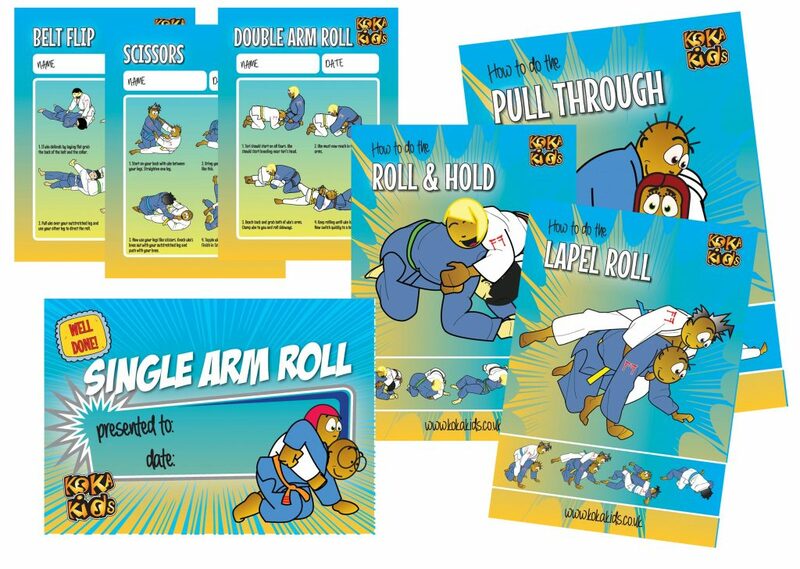 Look no further… Ne-waza Turnovers consists of 30 high resolution templates (certificates, posters and coaching key cards) to teach enough groundwork to last your judoka the term! 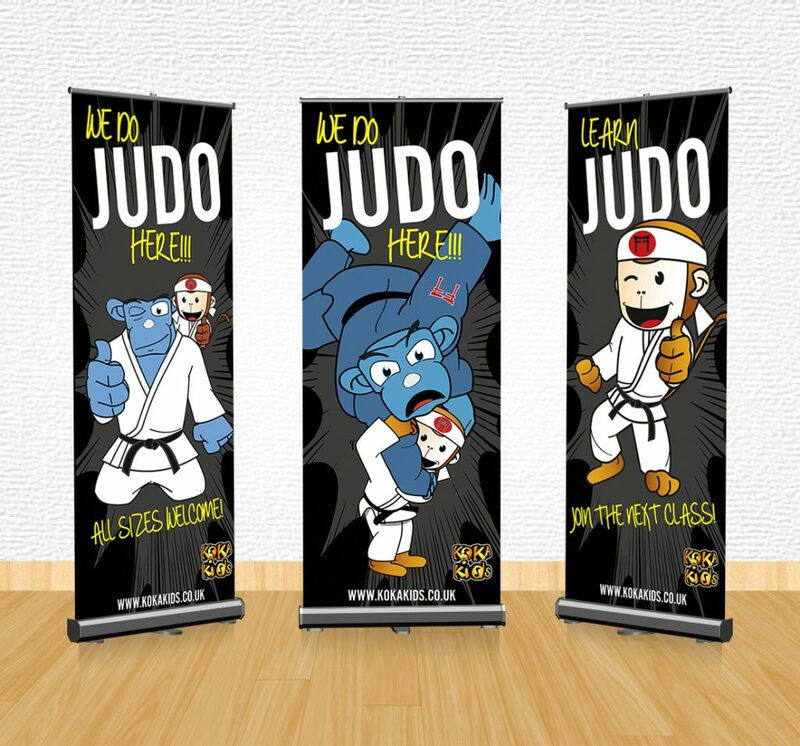 Print the resources and use at your judo club to teach ten different ground work turn-overs. This is the second ne-waza drill in our three-part series Groundwork Matters. In the last blogs we looked at how to get around defences and improving osae-komi skills. In this post we focus on a simple turn over; easy to learn and easy to coach. By the way, if you sign up (add your email in the side bar to the right) we will let you know when the next Groundwork Matters blog and free coaching resource publishes. Start kneeling to the side of uke. Uke should be on all fours. Reach under your partner’s stomach with your left hand and under their chin with your right arm. Using both hands, cup far arm just above the elbow and pull it towards you so uke topples over sideways. Use your chest to push uke over until uke is on their back. 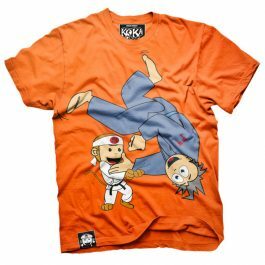 Start the judoka in the same initial position with tori kneeling by uke’s side with both hands resting lightly on uke’s back. Uke must be open, with space between their stomach and the mat. When you shout Hajime, uke can begin defending by crunching up and closing down the space, and tori must quickly get their hands in place before they get blocked out. This teaches tori to react quickly and spot the opportunity to begin this turnover. Like most techniques, the key is getting your hands into the correct grip quickly, and in beginning the turnover as soon as possible before uke gets a chance to begin defending. 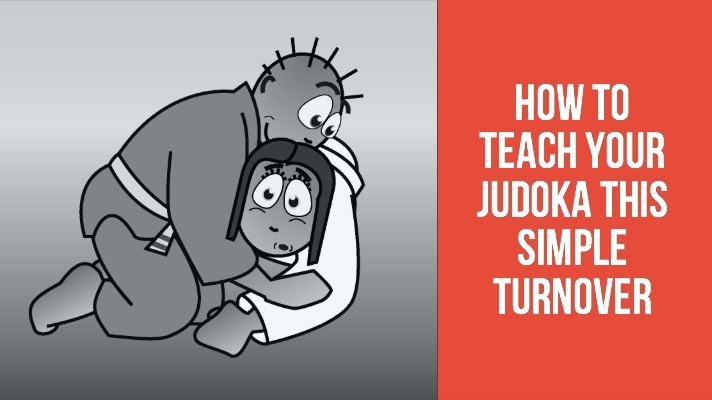 Give your judoka this Key-Stage Teaching Card so they can study this technique off the mat. You’ll find it available as a free download for a short period of time, in the Coach Resource section of the website. Please just scroll through, add it to your cart and download it. Don’t miss the monthly free resources! 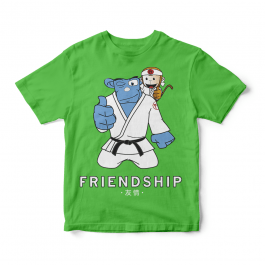 If you want to be notified when we release the next resource simply sign up (you will also get another free resource, the Spirit of Judo Certificate ) as a thank you for signing up. Do you want to teach more turnovers like the Pull-Through? If you are looking for more than just one turn-over then download the full Ne-waza bundle to get 30 quality coaching resources. 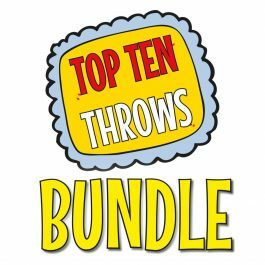 Starting with the Pull-Through the turnovers in the pack get progressively more advanced as your judoka become more proficient at ground work judo. 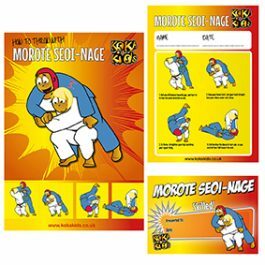 Each technique is fully explained with a step-by-step key card, plus there are certificates and dojo posters to hang up around your club. 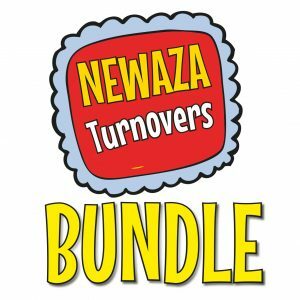 Newaza Turnovers – full download £49.99 – buy it now!